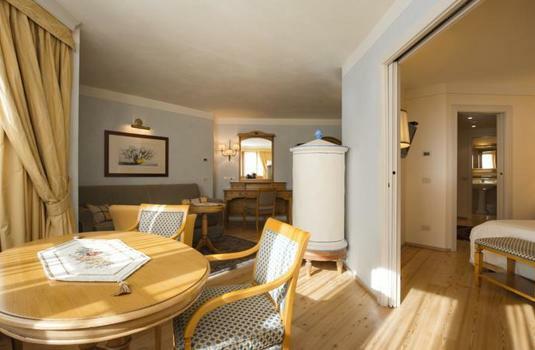 Just 400 yards from Cinque Laghi ski lift, as well as the centre of town, the Alpen Suite Hotel offers luxury accommodation and amenities in an elegant setting. A spa with indoor swimming pool, a well-regarded restaurant, and spacious suites make this a charming place to spend a winter holiday. 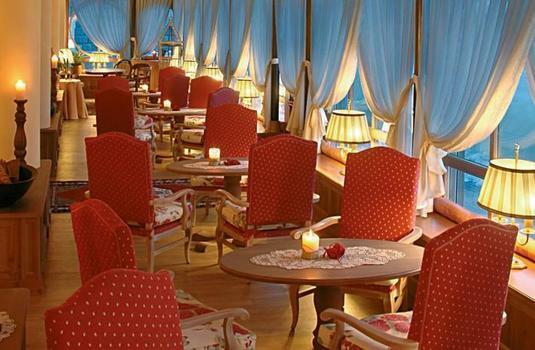 The gourmet restaurant serves international cuisine, and is open for both lunch and dinner. 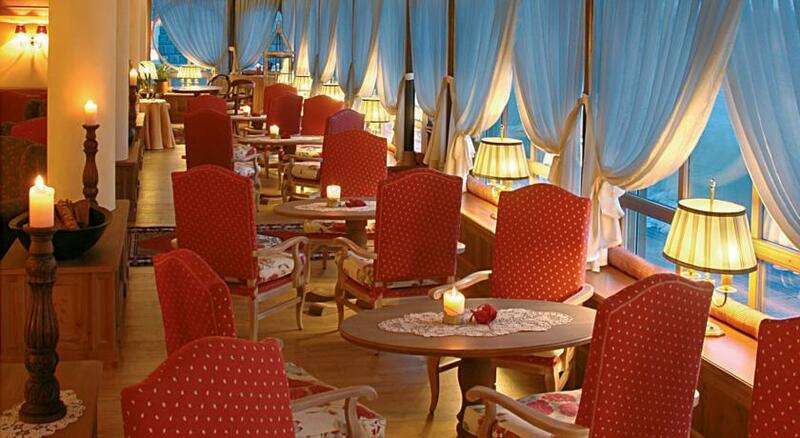 There is also a bar just off the lobby as well as a cigar lounge and a cosy living room with fireplace. The modern wellness centre is accessible to all guests and includes hot tubs, saunas, a Turkish bath, and relaxation area. Massages and beauty treatments are available upon request in Spa Alpen Beauty. For Children there is a dedicated games room as well as a reserved area in the pool. 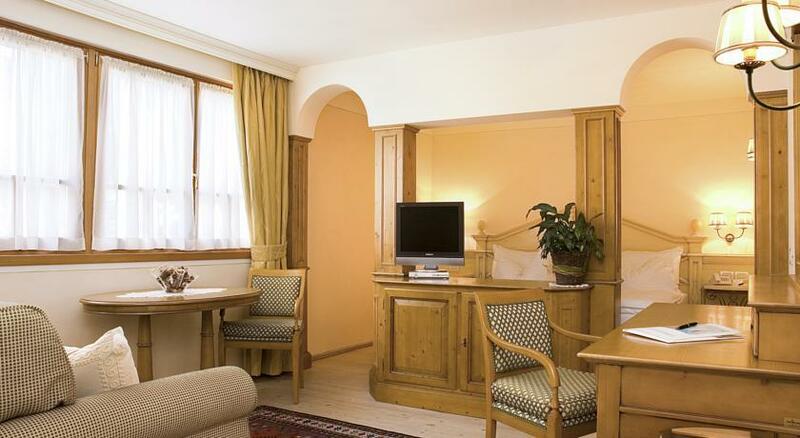 The Alpen Suite Hotel features 28 bright and spacious suites decorated in alpine style with elegant wood furniture. 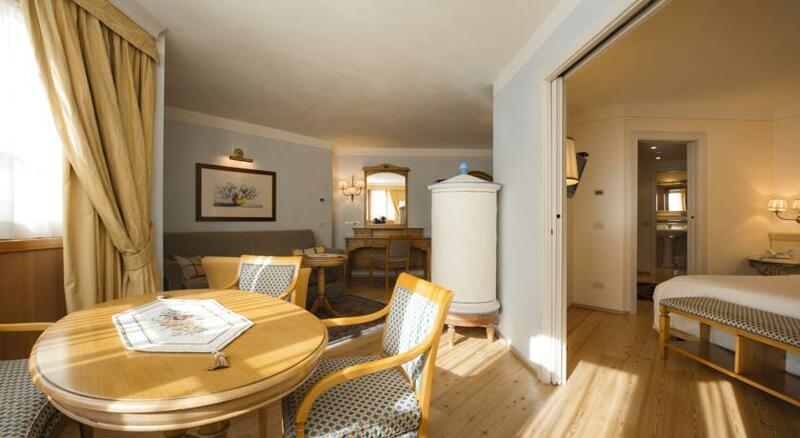 Five types of suites are available to choose from, all differing in size and amenities. 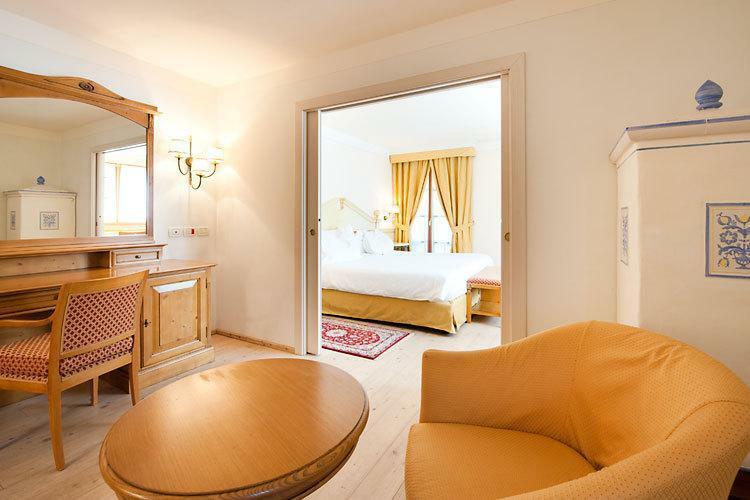 All suites feature a comfortable living room and large bedroom with a king-size bed. With its snowy slopes, blue skies and chic hotels, Madonna di Campiglio is la dolce vita in a nutshell. 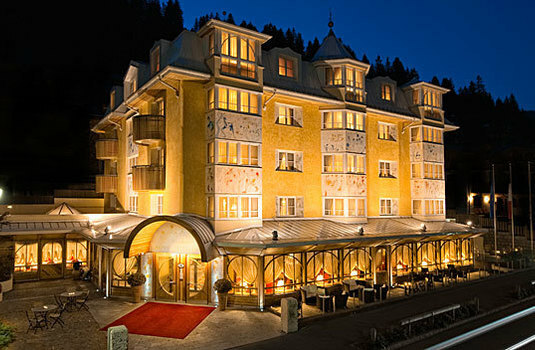 Madonna di Campiglio is an affluent Dolomite town with a well-heeled, predominantly Italian clientele. The varied, snow-sure ski area (connected to nearby Pinzolo and Folgarida-Marilleva) offers 150km of immaculately groomed pistes that reach an altitude of 2500m . The slopes are best suited to leisurely intermediates with some of the best cruising terrain in the Alps, both above and below the tree-line. There are, however, plenty of options for the more adventurous, including some genuinely steep blacks and plenty of off-piste, served by a state-of-the art, award winning lift system. 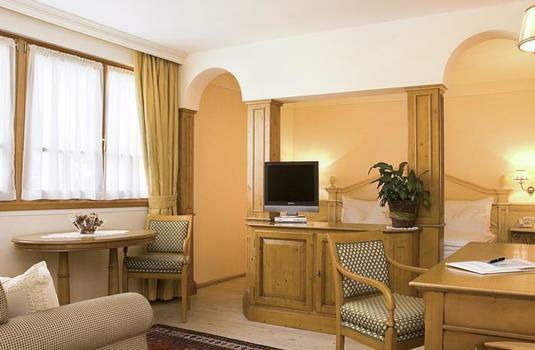 The resort is set in a pleasantly wooded valley and surrounded by typically magnificent Dolomite scenery. The compact, traffic-free centre houses many smart boutiques and the early evening atmosphere is vibrant. 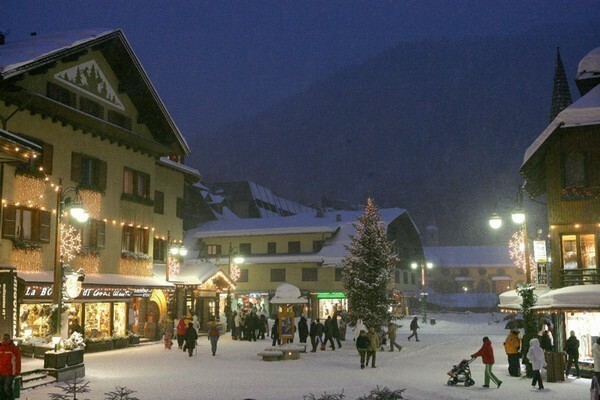 Pre-dinner promenading is a ritual on Madonna di Campiglio ski holidays.